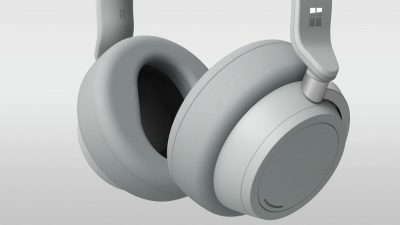 Brand new announcements by Microsoft introducing the World to a range of Surface products, including their very own wireless over-ear headphones. The new devices have a flare of high-end digital lifestyle without losing any of the productivity Microsoft products are known for. They seem to be presented as a set, one would say, where you can be working on your Surface Studio then go mobile with Surface Pro or laptop picking where you left off. The iconic form factor that established the 2 in 1 category, is now 67 percent faster with Intel 8th Gen Quad Core processors and available in an elegant Black color option. Offering the ultimate in portable mobility for today’s digital lifestyle, Surface Pro 6 offers hassle-free connectivity, uncompromising mobility, and exceptional power and performance. Surface Pro 6 offers all-day battery for up to 13.5 hours of work, fun or both. 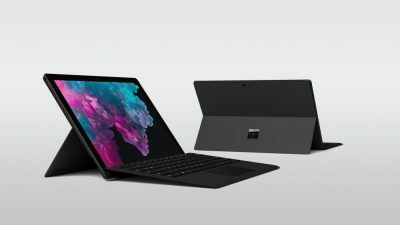 Starting at €919 with optional upgrades to Surface Pro 6 for Business. Surface Laptop offers style and speed in a slim, elegant, ultra-light, fast-charging laptop that fits easily in your bag. Beautifully designed and crafted, Surface Laptop offers the blend of texture, subtle details, and clean, elegant lines—plus the luxurious touch of our Signature Alcantara material-covered keyboard. Announced today, Black joins the rich tone-on-tone color combinations of Platinum, Burgundy, and Cobalt Blue. Gold. And Surface Laptop 2 gets supercharged with Intel 8th Gen Quad Core Processor while offering up to 14.5 hours of battery life and faster and quieter typing. The 13.5” PixelSense Display screen offers an immersive touchscreen for faster, more natural navigation, with an edge-to-edge display and ultra-thin bezels. 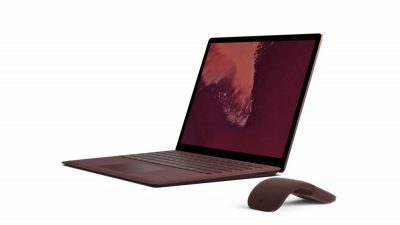 Surface Laptop 2 includes OmniSonic speakers for premium sound. Surface Studio 2 is the fastest Surface ever made offering professional-grade power and performance. The 28” Brilliant PixelSense Display is stunning and adjustable offering a brilliant screen, or a huge canvas, for your ideas. 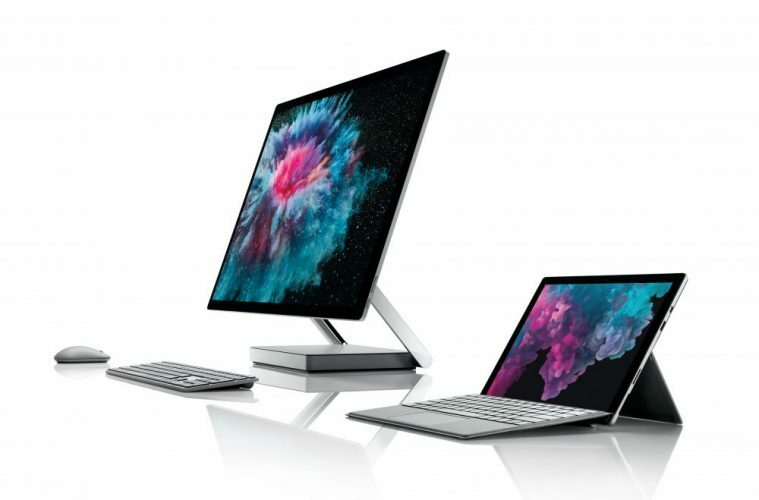 Now offering USB-C support and Xbox Wireless built-in gaming-class performance, Surface Studio 2 includes the latest Surface Pen with tilt sensibility and 4096 levels of pressure. Of course, Surface Studio 2 offers Surface Dial integration and rich Ink experiences with a wide variety of software, including Office. Surface Studio 2 will be available to pre-order beginning on Oct. 2nd. Microsoft’s first premium and smart headphone experience offer the attributes you have come to expect from Surface: premium design, expert craftsmanship, and integration with the services and experiences you love. Surface Headphones offer a smarter way to listen, with spectacular rich audio and hands-free calling. Surface Headphones make it easy to block out the world to get more done with adjustable noise cancellation, so you can focus on your task or just relax with your favorite music. With automatic pause and play, they will even pause the movie or video you are watching when you remove them from your ears. Cortana, a hands-free digital assistant, is built in to offer you proactive guidance, read your emails, or kick off your conference call. Surface Headphones are and will be available later this year. More to come on the devices with further in-depth reviews.